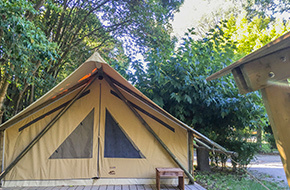 From 15th March to 15th January approximately, we offer 32 pitches in a tended and pedestrian environment that provides calm to all, and respects the beautiful surroundings. 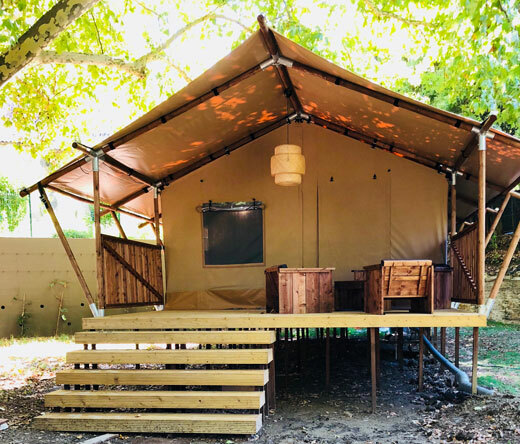 Whether you’re coming as a couple, as a family or a group of friends; we have pitch and top-range accommodation options that will suit your needs and wishes: equipped lodges, cabins, tents, etc. 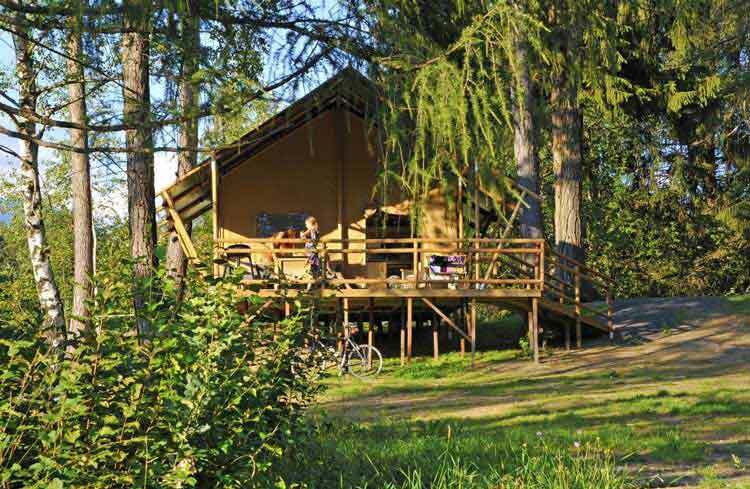 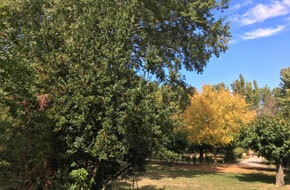 We can offer you the nature break you need! 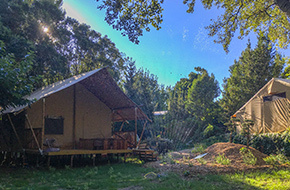 Our lodges come with a kitchen equipped with crockery and appliances (hobs, fridge, microwave, electric coffee machine, kettle), at least two bedrooms (duvet, bed covers, and pillows provided; bedsheets available for rent), a bathroom with WC, a wood stove, and an well-equipped terrace. 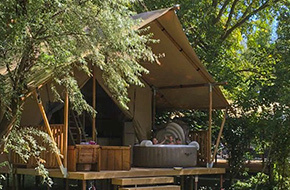 Some terraces even have their very own jacuzzi. 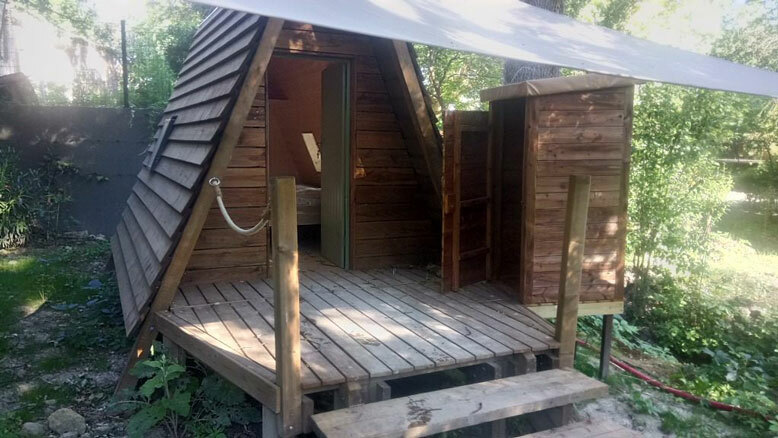 Our all-season wooden cabins are perfect for couples, located at the foot of the castle along the river that meanders through the trees. 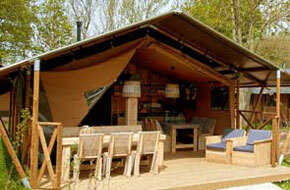 They’re insulated, heated and equipped with good qualitybedding, storage units, and have a well-equipped terrace. 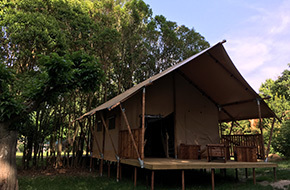 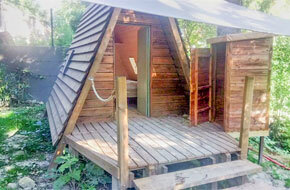 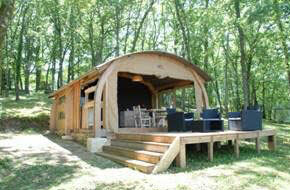 Our furnished tipis are perfect for a quirky experience in the middle of nature. 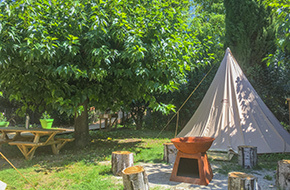 Enjoy a pleasant evening around a brazier and retreat to the comfort of good quality bedding. 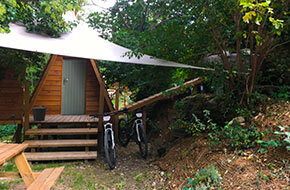 Our star cabins will offer you a perfect break between excursions, by motorbike, bicycle, or on foot. 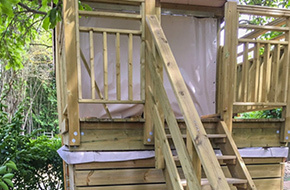 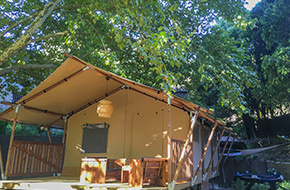 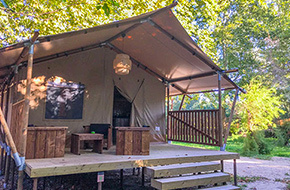 Enjoy these experiences in a natural, wood & canvas environment with all the comfort you need, double bed, storage area, in a dry and secure setting, eating area, terrace, electricity, close access to washroom building. 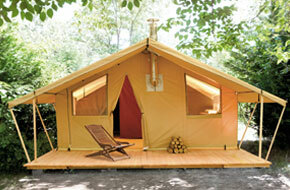 Our vitamin caravans will take you back decades with a touch of originality and extra comfort. 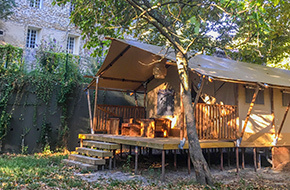 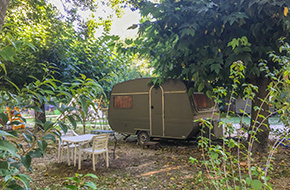 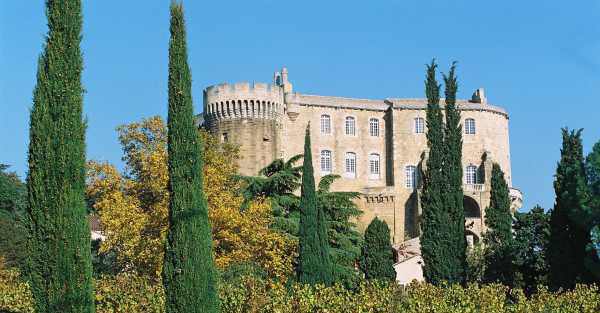 ,Root camping enthusiasts will find their heart’s desire in a grassy tree-lined area at the foot of the castle, dedicated to camper vans, caravans and tents, with water and electricity infrastructure.